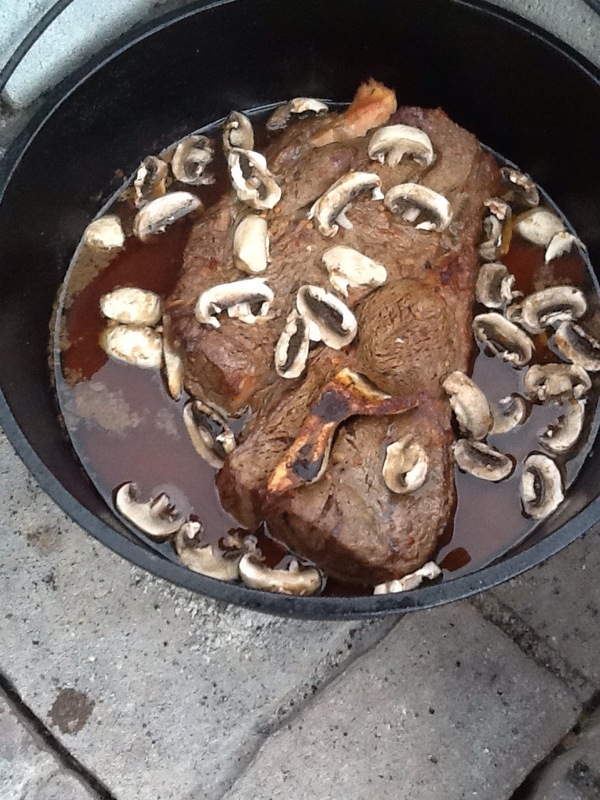 I am an avid Dutch oven cook and have been doing it for many years. So many, I have seemed to lost count. Anything you can cook in your oven, I can cook in a Dutch oven ( DO ). 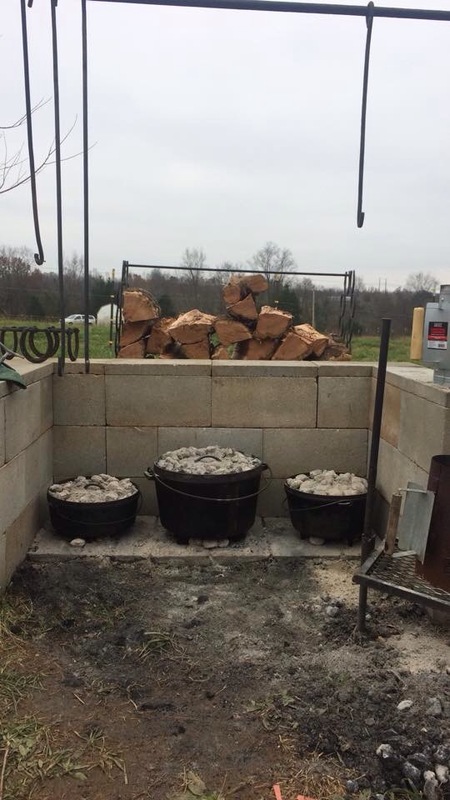 There are DO cooking contests and the International Dutch Oven Society dedicated to DO cooking enthusiasts. Recipes are abundant. There are tons of information out there for beginners. The picture of the three DOs at the beginning of this article, are mine. You don’t need a setup like this. Some people will pull the grill off their BBQ grill and set their DO inside of it or you can place it directly on the ground. I built my cook station like this to help keep the wind from blowing across my ovens and cooling them. This Thanksgiving I cooked a 13 pound turkey in my largest DO. It was my first and it was the best turkey I ever ate. For the most part I use charcoal briquettes to heat my ovens. One method is the 3 rule. If I want my oven at 325 degrees and it is a 12 inch oven, I would subtract 3 from 12 and get 9. So I would put 9 coals under the bottom. For the top I would add 3 and get 15 so I would put 15 on top. Another method would be to double the 12 and get 24. I would take a third of that, which would be 8 (bottom) and leave me with 16 on top. I hope you have found this article interesting and helpful. I have ruined many a dish trying to master the art of DO cooking and so will you probably. Don’t give up. I will try to do some more in depth articles in the future. Thanks for reading. Be kind to one another, share the love and God Bless you one and all. That looks like some tasty vittles, doubledacres! I’d say avid is the right adjective to describe your dutch oven love. 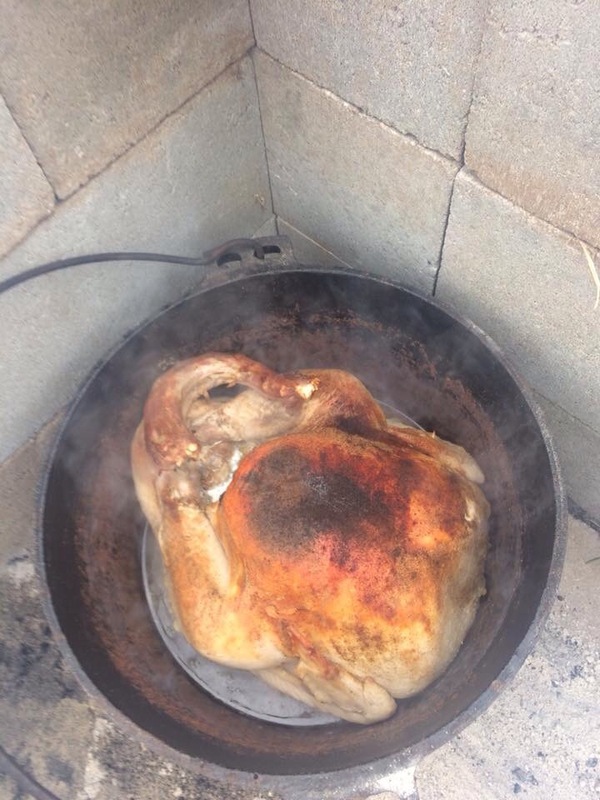 Anybody who has a dutch oven you can fit a turkey inside, well they must love the hobby! And it is a lot of fun. 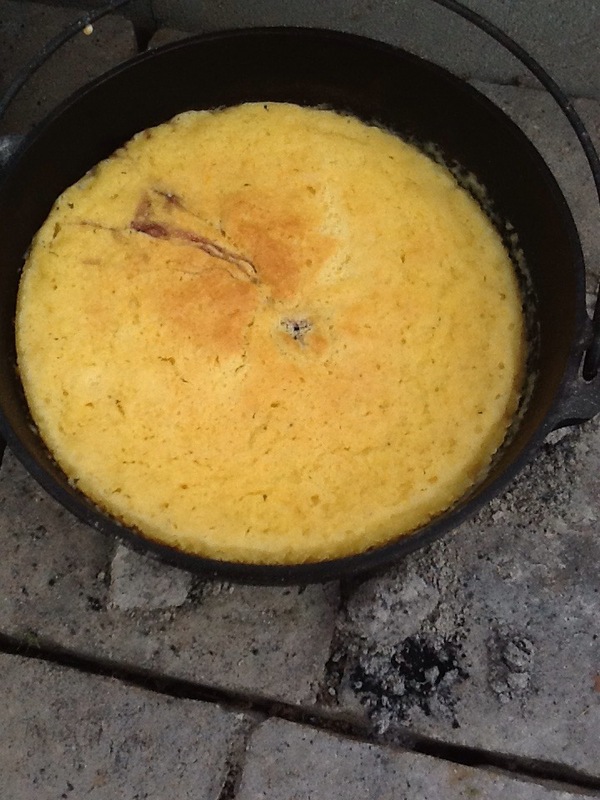 When I bring my dutch oven camping, I feel like the culinary world is mine. Nothing is out of reach. Thank you. It definitely is a passion. I made a stove out of two golf cart rims and I cook on it outside in my cast iron skillets.